If you intend to travel in Africa you have come to the right place. 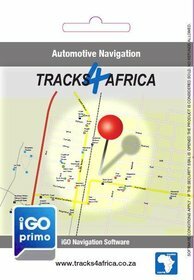 We offer great GPS maps that will navigate you from Cape Town to Cairo. 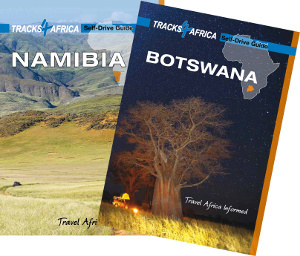 Our map of Africa reflects where people travel and is packed with detail for the self drive traveller. It covers many aspects like where to stay, eat, shopping, fuel, money matters, emergencies and obviously what to see and do when you visit a place. 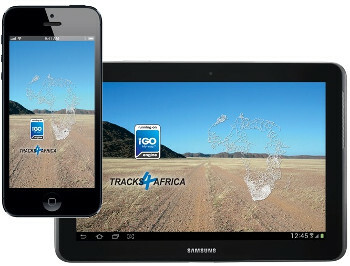 View our online map of Africa to see what level of detail we offer on our GPS maps. Our website contains loads of information on the places you see on our maps. 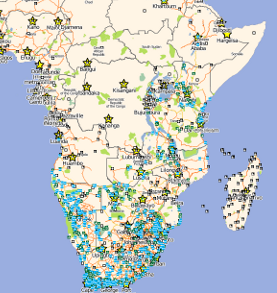 If you are looking for camp site or accommodation in Africa, then simply browse our maps or search the website. In addition to our GPS maps we have recently started to produce paper maps for selected countries in Africa. 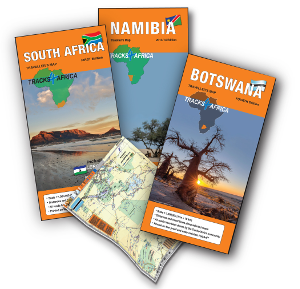 We currently have a Namibia map, a Botswana map and a map covering Mozambique and Malawi. 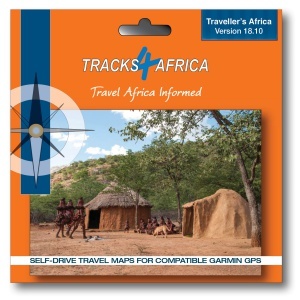 Our Garmin compatible GPS maps are great for trip planning when used on your PC. You can set up planned routes and calculate how long it would take to reach a destination. Then browse the maps to see where you can sleep, fill up with fuel or buy stuff.